When Joss was born everyone remarked how like Alex she is, she is her Daddy’s double, and yet for me it was like looking in the mirror! 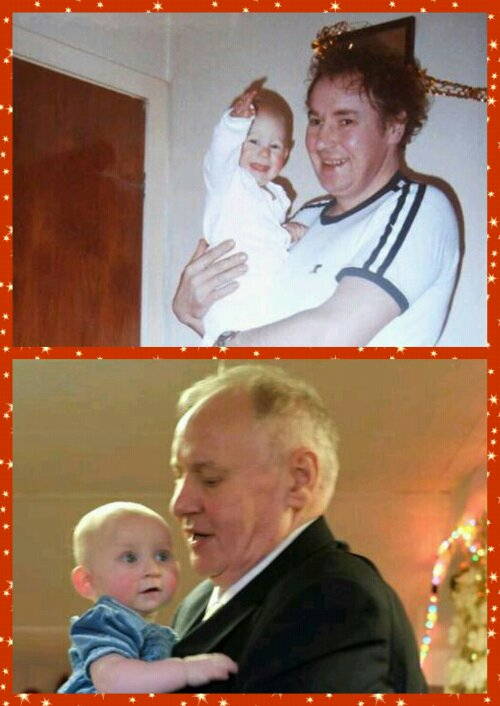 I put these two photos together for Father’s Day, me 29 years ago with my Daddy, and Joss with Grandad nearly 30 years on, can you see the resemblance?! I think tomorrow I’ll look out my baby book and put a few more collages together and try to get some of Alex’s baby pics to do the same!